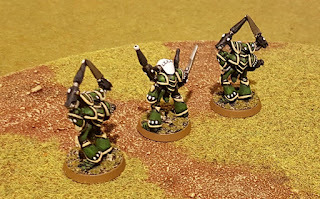 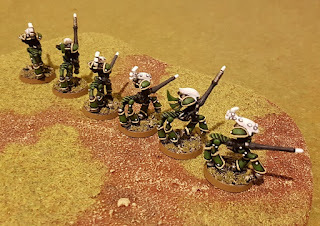 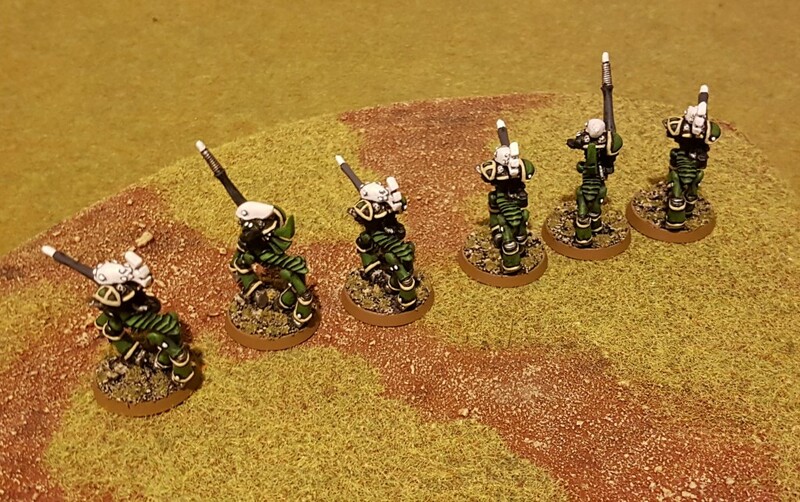 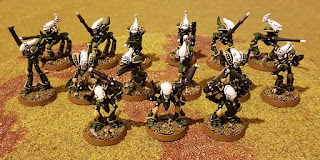 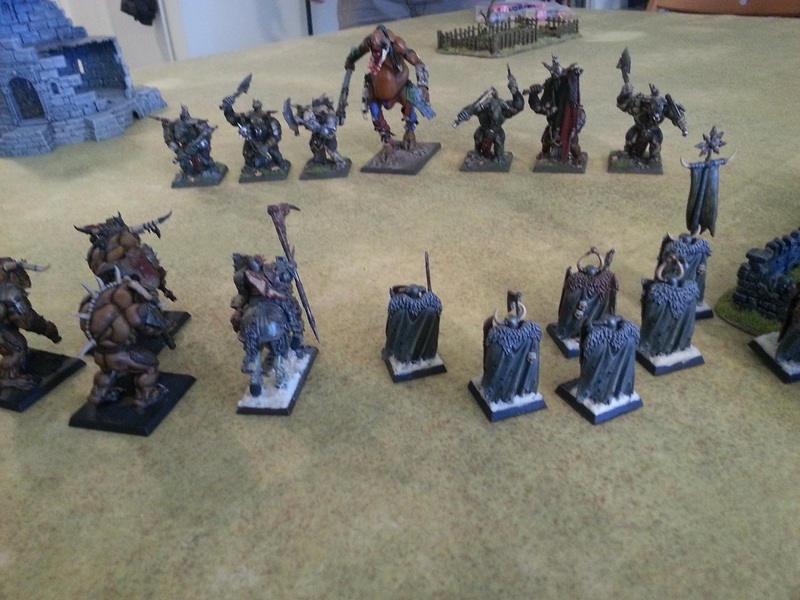 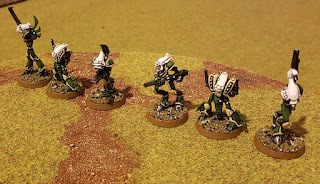 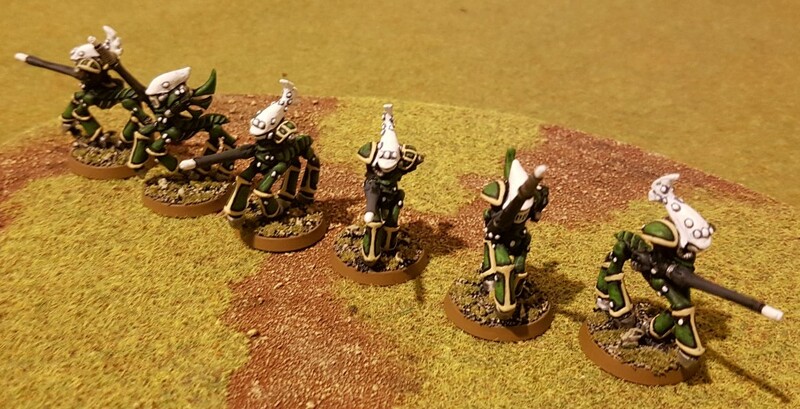 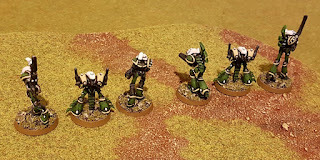 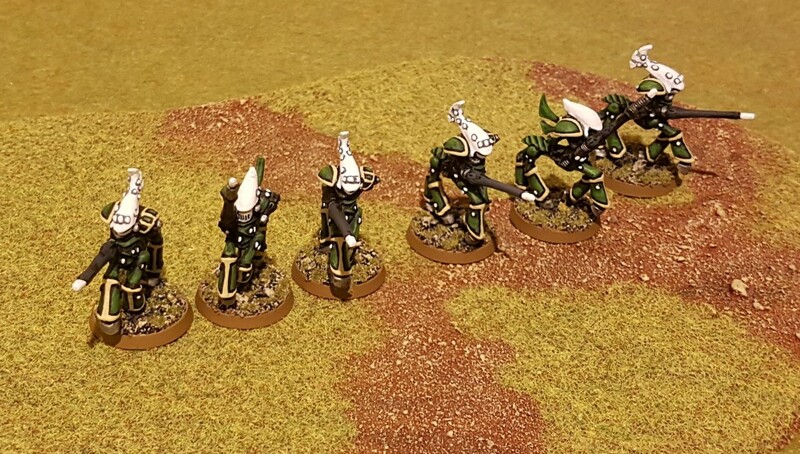 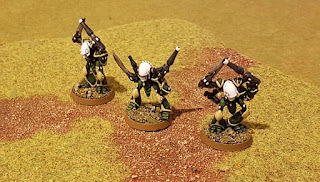 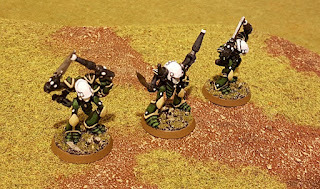 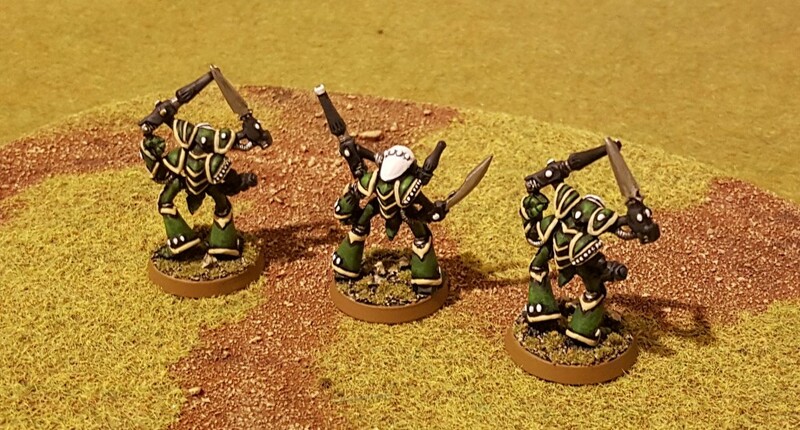 Some newly painted old school figures - Epic Eldar Knights, 90's figures long out of production. 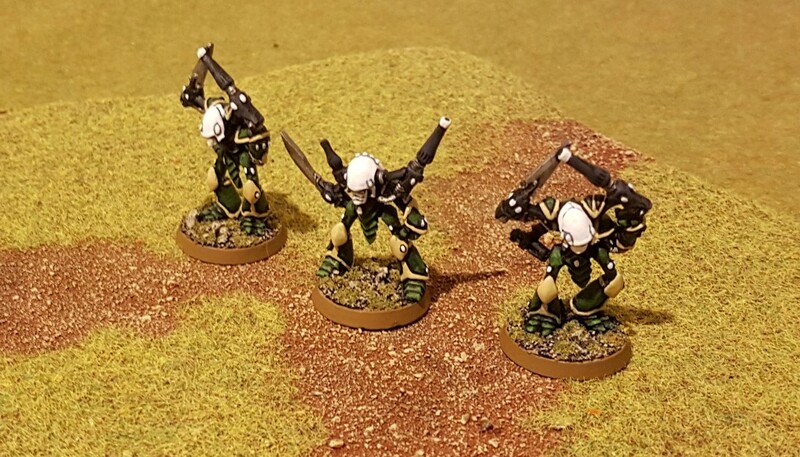 I've had these for some time, but only just got around to painting them. 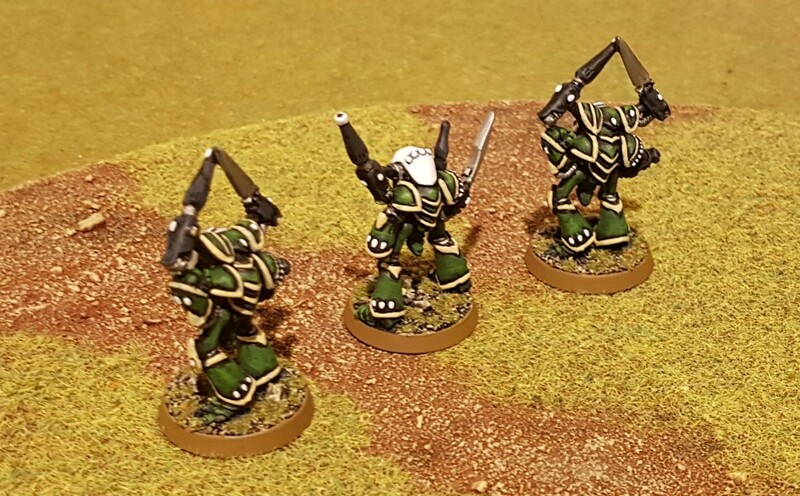 And Bright Stallions. 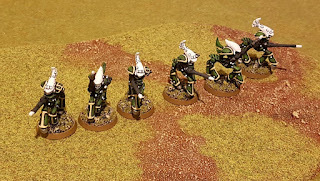 Space elf space ponies...?